In the past few years, there has been an uptick in press coverage of police brutality targeting the African-American community, coupled with the already troubled and biased criminal-justice system that penalizes black people often and harshly. This, in turn, has brought a widely publicized rise in the mobilization of the black community and its allies as they demand justice and accountability for all. On Thursday, NFL players stepped on Capitol Hill to once again join the conversation and speak about their personal experiences with the criminal-justice system and the crippling effect that perceived police misconduct has had on the trust between the African-American community and the people who are meant to serve and protect. 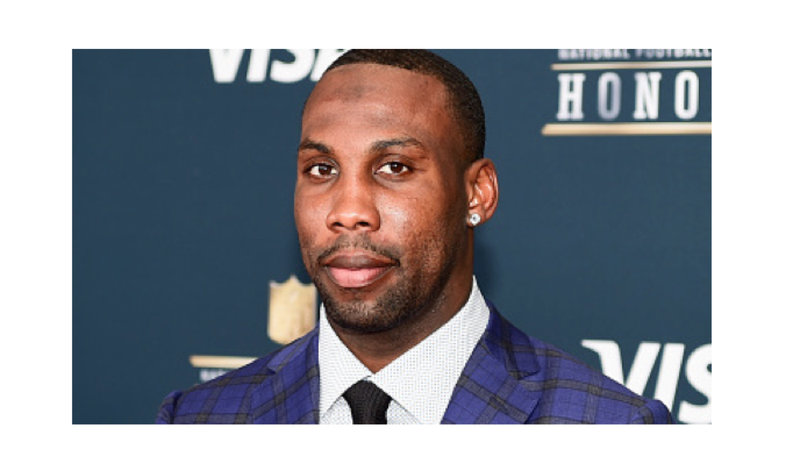 Boldin was speaking from personal pain, having lost his cousin Corey Jones in October 2015 to a police-involved shooting. Jones was driving home from a show with his church band when his car broke down on the highway. Officer Nouman Raja, a plainclothes officer in an unmarked car, approached the young man. The situation escalated. Jones wound up dead. Boldin, the Philadelphia Eagles’ Malcolm Jenkins, Johnson Bademosi of the Detroit Lions and former NFL wide receiver Donte Stallworth were among the group that came out to represent their communities before the forum titled “NFL Players Speak Up: First-Hand Experiences and Building Trust Between Communities and Police,” hosted by Reps. Elijah Cummings (D-Md. ); John Conyers (D-Mich.); Sheila Jackson Lee (D-Texas) and Cedric Richmond (D-La.). Philip Atiba Goff added his expertise to the conversation as the co-founder and president of the Center for Policing Equality, a think tank that takes evidence-based approaches to social-justice issues. Neither Republicans nor white members of Congress attended the session. It was not the NFL players’ first visit to the Hill, since they work with Republicans and Democrats to garner bipartisan support in hopes of legislating real, meaningful change regarding policing, including changes in how to train and support the police. Jenkins emphasized the need for better understanding between police and minority communities, also speaking about his experience working with his own foundation, which focuses on youth development in underserved communities that are poverty-stricken and often high in crime. He described meeting with Philadelphia police and even participating in a ride-along in order to better understand how police go about their jobs. He also focused on the need for a system in which people who have been incarcerated have a proper chance to reintegrate with society and a system that combats recidivism, as well as the need for ban-the-box policies. “There’s no way to instill trust or build relationship between our police when our police are on the front line of a broken system. We see bills and legislation being brought forth but not pushed through,” Jenkins said. The forum brought two particular pieces of legislation into focus. The second legislative solution is the Law Enforcement Trust and Integrity Act, which would provide incentives for local police to adopt performance-based standards in hopes of reducing misconduct and properly investigating misconduct when it does occur. That bill was introduced by Rep. Conyers and Sen. Ben Cardin (D-Md.) in the 114th Congress. Throughout the forum, it was stressed that this was not meant to be an avenue to bash the police, but to really focus on finding out what works or can work in order to heal the gaping divide and address the issues that are facing the nation. “I think it’s very important for us to humanize both sides,” Jenkins said. “We all would agree that we need our law enforcement, they have important jobs, they have tough jobs. But accountability is not here as indictment, but more here as a tool for you to [make] your job easier and to do it better.